Projects featured by the photo blog "A Photo Editor"
I met Jonathan Blaustein at the NYT Portolio Review in April. He mentioned my projects in his blog post "The Best Work I Saw at the NYT Portfolio Review" on A Photo Editor this week. See my multimedia piece about the trafficking of Cambodian brides in China here. Take a sneak peek at my ongoing project about Chongli and 2022 Winter Olympic Games here. 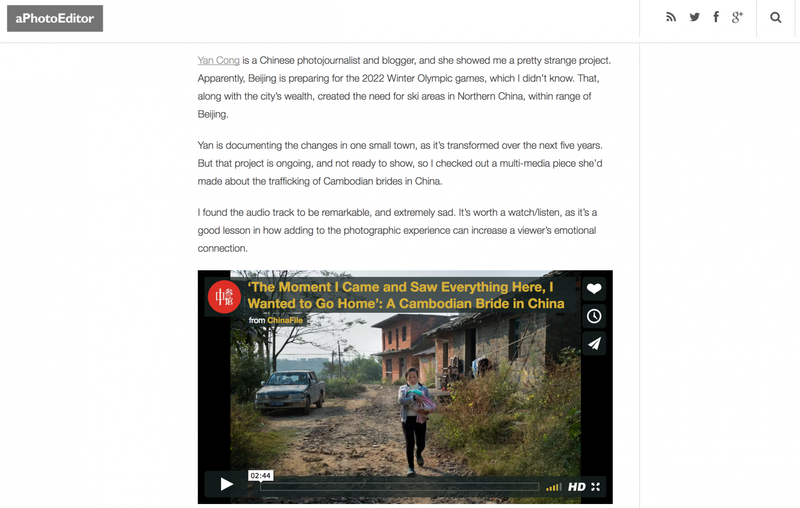 Yan Cong Blog Projects featured by the photo blog "A Photo Editor"